hd00:33Bagan temple with hot air balloon. Destination scene of myanmar. hd00:21Bagan, Myanmar - January 15, 2016 : Hot air balloon over the temple of Bagan at dawn. 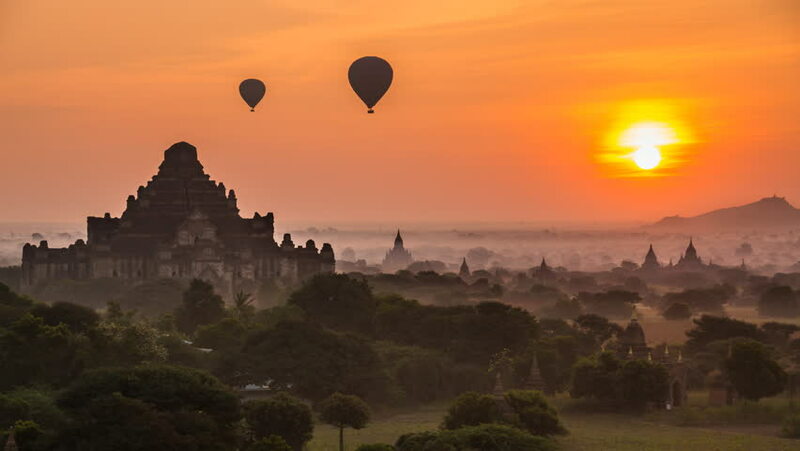 Ballooning to see sunrise is one of the most popular outdoor activities in Bagan.